Revolution Slider Error: Slider with alias case_keyedin not found. KeyedIn® is an agile cloud-based software company delivering powerful results in critical areas like project management and custom manufacturing to specialized vertical markets. KeyedIn uses Jitterbit to enable KeyedIn Projects—a project management solution for Project Management Offices and Professional Services Organizations—to integrate with any software applications that their customers use: Salesforce, Oracle, Intacct, SugarCRM, Quickbooks Online, Workday and Microsoft Great Plains to name a few. The KeyedIn team built the design, orchestration and mapping for the initial integration project, which connected Salesforce, KeyedIn Projects and Intacct. The Jitterbit platform offers an intuitive way to manage the integration project and with the excellent support they received from Jitterbit, the team was able to execute the project quickly. The biggest benefit KeyedIn achieved is that the integrations can be reused across many customers, allowing KeyedIn teams to interact with data—such as opportunity stages, project timelines, resource planning and financials—in real-time for status updates and reporting. The connections to CRM and financial systems have given KeyedIn’s PMO customers a well-integrated Project Lifecycle Management solution, from which they can quickly get an overview of projects, respond to activities, and report to sales on project milestones. “Typically salespeople operate in Salesforce, where they feel most comfortable; project managers and project team members are in a project management system; and accountants and controllers are in Intacct—but to be successful and efficient they have to share data across those systems,” Hurley said. Other internal teams see the benefits of Jitterbit, too. Development and engineering teams are freed from the time-consuming burden of creating lots of integrations or custom coding for each unique customer situation. They simply leverage the Jitterbit API platform to quickly expose data as APIs. Flexibility is key, but so is speed. Next up, KeyedIn will be using Jitterbit to enable the company’s manufacturing ERP product, KeyedIn Manufacturing, to support its growing list of small manufacturing customers. KeyedIn Projects enables your PMO to be more strategic, more efficient, and deliver greater business impact by allowing you to easily forecast and allocate resources, create and analyze portfolios, gain visibility to all your projects, and discover new insights through dynamic PPM analytics. To learn more, visit www.keyedin.com. 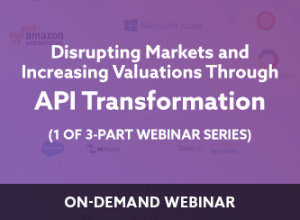 Watch this webinar to learn more about the power of API transformation.